Our first quarter selected nonprofit was The YANA Club of Hilton Head Island. YANA stands for "You Are Not Alone". 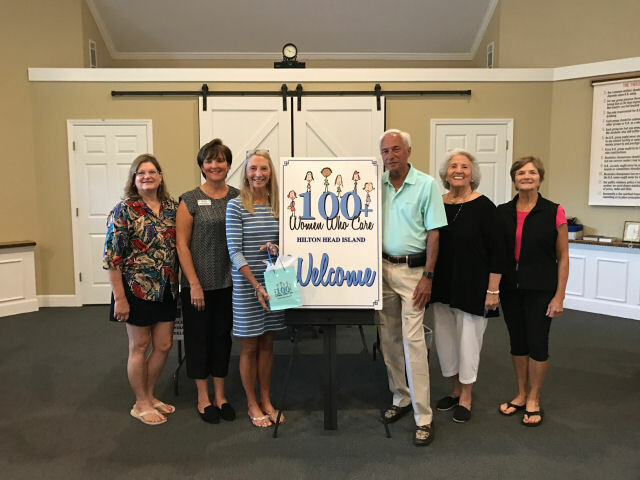 The mission of this club is to provide a facility on Hilton Head Island where twelve-step groups can meet to encourage recovery growth and fellowship and to ensure a safe and secure environment for all attendees. These 12-Step Recovery programs include Alcoholics Anonymous, Narcotics Anonymous, Al-Anon, Adult Children of Alcoholics, and Young People in AA. Our generous contribution of $11,200 made quite an impact! Our collective donation enabled this organization to make repairs to the yard and surrounding area still devastated from Hurricane Matthew, to install a much-needed video security system as a deterrent to bad behavior, and to replace the ceiling. The generous hearts of 100+WWCHHI are certainly in evidence at YANA!